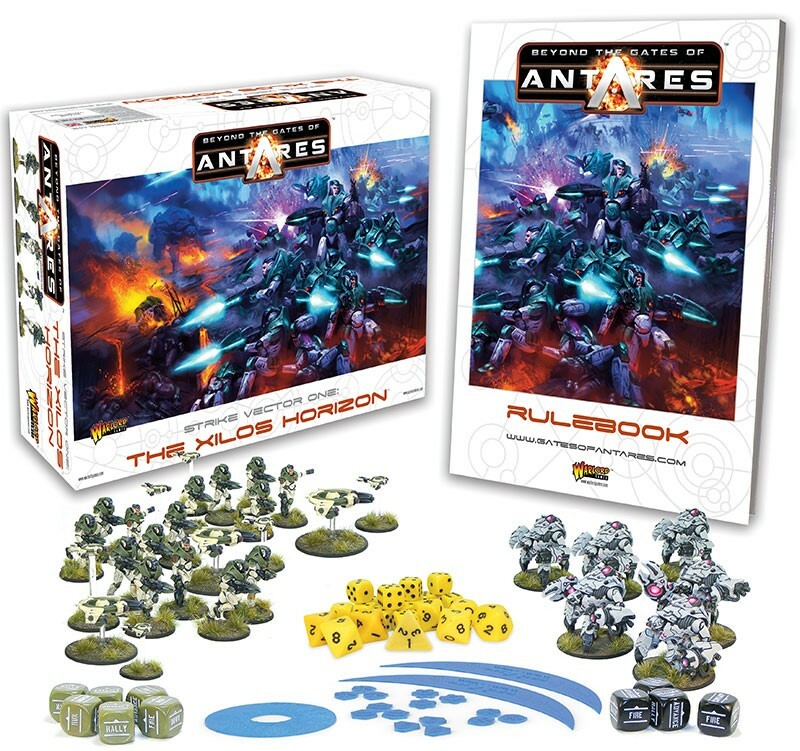 The date creeps ever closer for the official full release of Beyond the Gates of Antares from Warlord Games. The beta rules are being finalized and the last bits of polish are being applied to both them and the minis range. Many of you already have some of the figures and have been playing for a while. But for those that haven't yet dove in, Warlord has announced a starter set that might entice you. 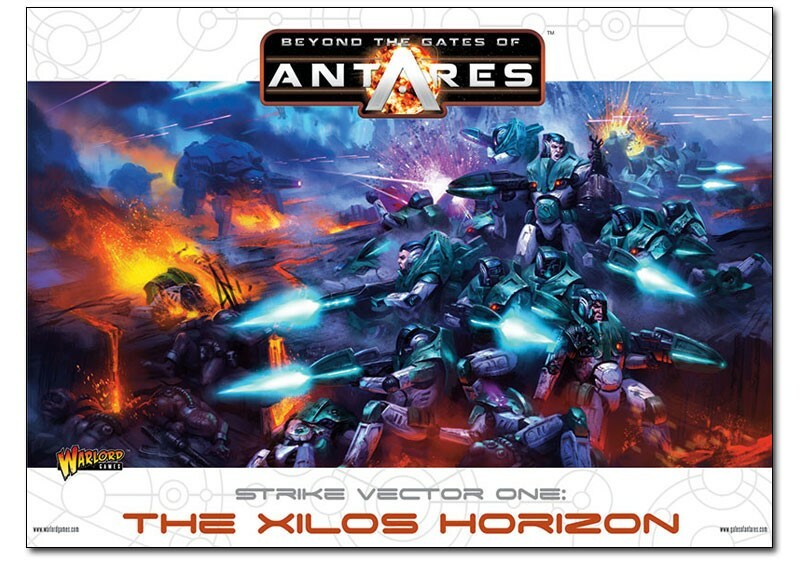 Strike Vector One: The Xilos Horizon is the name of the set. It's got plenty for you and an opponent to get playing as soon as the glue dries on the figures. This set will be available to pre-order over in the Warlord Games website starting in October.